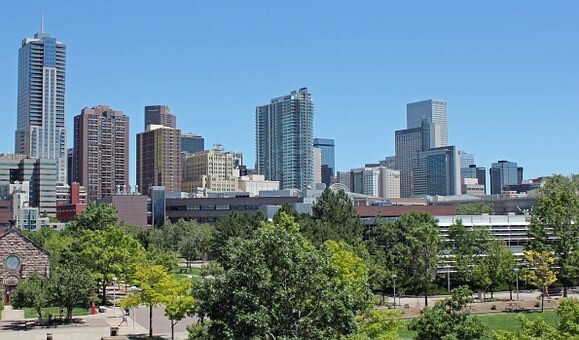 In just a few short days, Denver will host one of the largest conferences for trial lawyers in the nation. 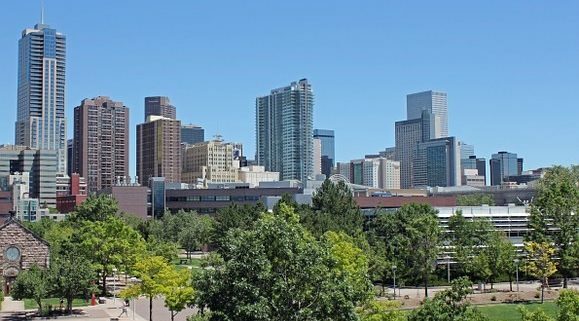 The AAJ 2018 Annual Convention will take place from July 7 – 10 at the Colorado Convention Center in Denver, Colorado. The conference features over 200 events including advocacy section breakouts, litigation group CLE programs and committee meetings. If you are new to the American Association of Justice or experiencing this conference for the first time, be prepared for four days of networking opportunities. You can get up close and personal with experts, industry leaders and speakers who willing share their wealth of knowledge. The schedule is jam-packed with something for everyone from Asbestos to Zofran. Join Amicus Media Group and Amicus Capital Group’s CEO Bill Tilley as well as Melissa Repking and Daniel Rodriguez at this year’s AAJ Annual Convention. Visit Booth #3 and learn more about increasing your law firm’s profitability. We are a legal media agency dedicated to law firm growth and case acquisition with less risk. We look forward to seeing you at the conference. It should not surprise anyone that emotional appeals to consumers are the latest trend in advertising. 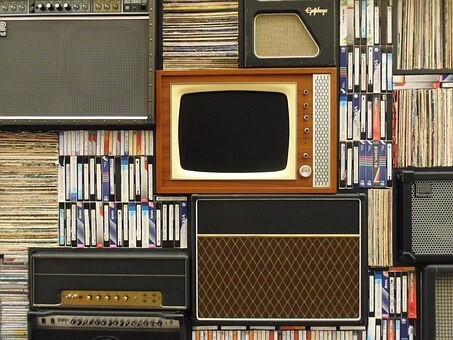 We have seen a considerable shift in how companies connect with viewers. Consumers want to know the why behind a company, not just information about the product or service. Advertisements that center around a particular product or service are quickly being faded out in favor of transformational advertising that appeals to a consumer’s feelings or mood. The American Marketing Association defines transformational advertising as that which “associates product usage with certain feelings, images or meanings that then transform the experience of using the product.” This type of advertising is often compared with informational advertising or that which “presents factual, usually verifiable, information about the product or product usage. Transformational advertising looks to offer an experience to the consumer. This form of advertising is less concentrated on the particular service or product but instead on the overall feeling that the consumer will get when they invest in the company. Johnson & Johnson uses an emotional appeal to their viewers that is less based on the features of their actual product but more on how consumer’s feel when they use the product. Other approaches by major corporations include Uber, Facebook and Wells Fargo who have all tried to refocus on the actual brand instead of the individual product or service in light of recent negative press. Honda’s “Random Acts of Helpfulness” tv and radio commercials are extremely successful at selling an experience that investing in the brand will give you without ever even mentioning the actual product. Industries across the board have used transformational messaging in advertising to develop brand loyalty and deliver the idea of a whole “lifestyle” to their consumer. Companies have become more experienced focus. Advertising transcends beyond an individual product and instead shows how that product or service will enhance a particular outcome or experience for the consumer. The idea is to sell without selling. You want to create feelings, thoughts, beliefs, emotions, and images that a consumer connects with your brand. The best examples of transformational advertising are done by companies that are admired. Start with the principle that “truth builds trust” and stand behind your commitment to the customer. Be a positive force in the legal industry and use that in your branding to showcase who you are and what you stand for. If you are interested in growing your firm, contact Amicus Media Group today for more information. We have case specialists available to take your call at (888) 700-1088. Our team of dedicated media managers will help you understand the keys to successful branding and how to build transformational advertisements that genuinely speak to your target audience. Contact us today for more information. Find Referral Sources. The key to growth is a comprehensive marketing strategy. 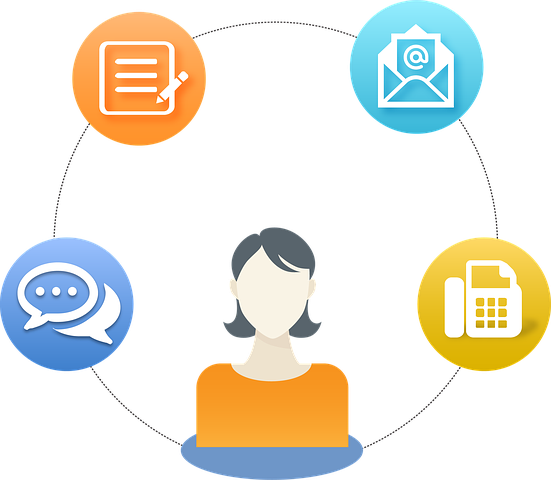 Part of your marketing campaign should include focusing on referral sources. Networking is a huge part of this. Meeting attorneys outside of your practice area is a great way to start a two-way referral system. Build your referral network. Reach out to old law school classmates, attend bar association meetings, join local attorney groups. You need to cultivate and foster relationships with other attorneys so that they will feel confident in referring potential clients your way. Their name is on the line too when they are making the referral. Always ask how a prospective client found you and be sure to thank the referral source. Be an industry leader. Name recognition will not only help you with prospective clients but also with fostering referrals from other attorneys. Speak at local bar associations, guest speak on a well-respected podcast, write legal articles, host webinars – do anything you can to be seen and heard in your practice area. Consider Cross-Promotion. If there is a related practice area or even another kind of business that complements your firm, consider networking with them. Think about your ideal client and what other services that they may need – reach out to those industries. Become a trusted content source. Use newsletters, blogging, social media and your website to become a trusted content source for potential clients as well as referral sources. Provide relevant information that answers questions about your practice area. Be the go-to source for information, and you will be at the forefront of people’s minds. Send your newsletter regularly with programs like MailChimp, constant contact and others that will take the guesswork out of sending a regular publication. Give a little to get a lot. You need to be sure that you are referring out clients as well. Instead of merely turning a lead away because they are outside of your practice area, find another attorney to refer them to. Build relationships with referral attorneys, and you will get referrals in return. Always remember the power of reciprocity. Find the time. One of the hardest things for attorneys to commit to is dedicating time to something besides the practice of law. Law school taught you to be a great lawyer, not a great business owner. Growing your firm doesn’t have to take up every waking hour. By finding a little bit of time to foster relationships with potential referral sources, build yourself as an industry leader and develop strategies for attracting new customers you can reach the next level sooner than you think. For more on growing your firm with less risk, contact Amicus Media Group today. We are dedicated to helping law firms acquire more cases without breaking the bank. We take a unique approach to drive more cases to your office through media buying, media management, performance marketing, campaign financing and creative production. Contact us today for more information. In 2016, Microsoft acquired LinkedIn for $27 billion. The company has struggled to find its relevance as a professional social network amongst traditional social media sites like Facebook, Instagram, and Twitter. Founded in 2003, the company was initially known for their resume and job searching abilities. Now the site has amassed over 500 million users. Since its inception, LinkedIn has been a valuable asset for companies, professionals and job searchers. With its Microsoft partnership, its value is unparalleled. Since the acquisition, Microsoft has been working to integrate many of LinkedIn’s features with its own programs including email and calendar. The new LinkedIn is working to incorporate artificial intelligence into its database. Artificial intelligence will help LinkedIn users further target potential clients and sales opportunities. It can help provide valuable connections for attorneys, law firms, and legal staff. As reported by the Wall Street Journal, Microsoft quietly integrated data from LinkedIn with Office apps. Users can find information about other meeting attendees and group members directly from calendar invites. The integration will help to move LinkedIn to the next generation of professional networking. One of the most significant problems affecting the company has been the lack of user participation. People are no longer regularly updating their information or checking the platform on a daily basis as they may be more inclined to do with other social media sites. 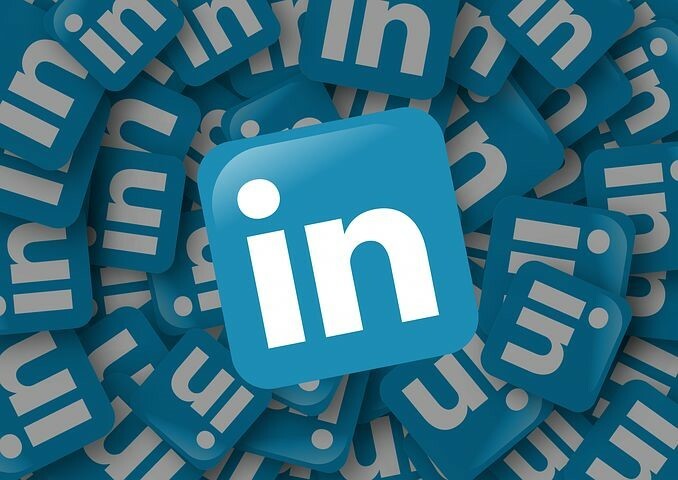 To combat this problem, LinkedIn and Microsoft have focused on some different functions including the integration of LinkedIn with Microsoft resume builders, focus on being a content-first platform where users can publish articles quickly and efficiently and most recently the ability to post videos to their feeds. The company is not stopping there. LinkedIn has also launched monthly notifications regarding relevant trending skills, LinkedIn Learning Courses, Workforce Reports, career advice features, Lead Gen Forms for Sponsored Content which includes Sponsored InMail and Dynamic Ads, interest panels and many other features to make the site more user-friendly and more enticing for everyday visits. Attorneys who are not using LinkedIn are doing themselves a disservice. LinkedIn is an ideal professional branding platform. You can professionally showcase your experience and expertise. You can link to your profile from any of your websites or blogs. You can immediately publish articles and most importantly use it as a referral source. 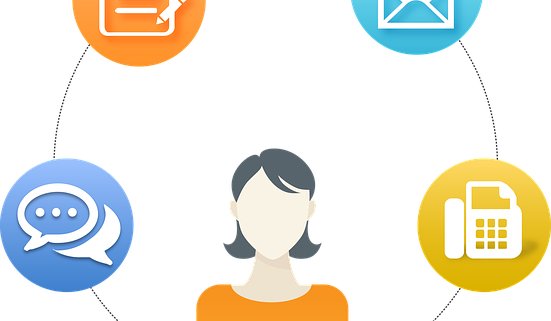 Connections on LinkedIn can be crucial to your firm. 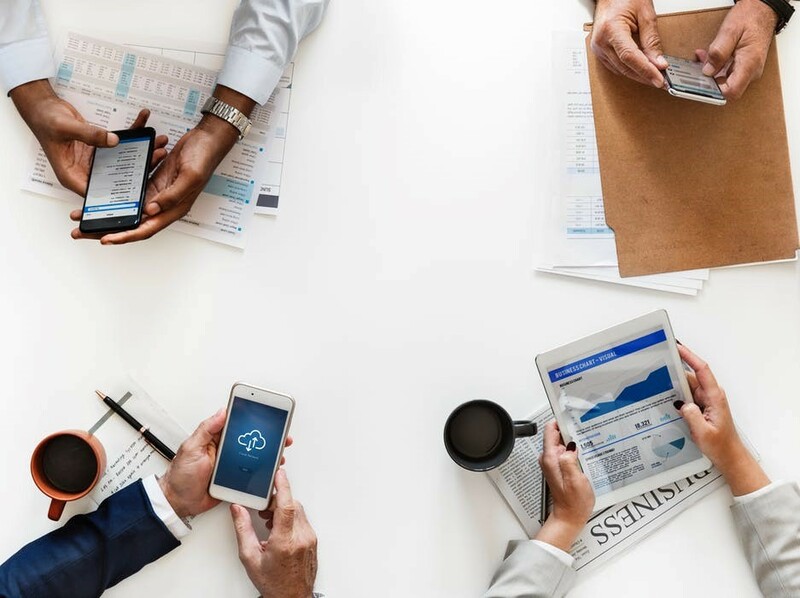 Learn more about the revamped LinkedIn and the importance of professional branding across all social media platforms from Amicus Media Group. We work with attorneys and law firms to develop comprehensive media campaigns including digital and TV ads. We want to help you grow your firm and acquire the cases you deserve. Contact our offices today for more information. This article does not contain legal or financial advice. Author and publisher disclaim any and all warranties, liabilities, losses, costs, claims, demands, suits, or actions of any type or nature whatsoever, arising from or any way related to this blog, the use of this blog, and/or any claim that a particular technique or device described in this blog. 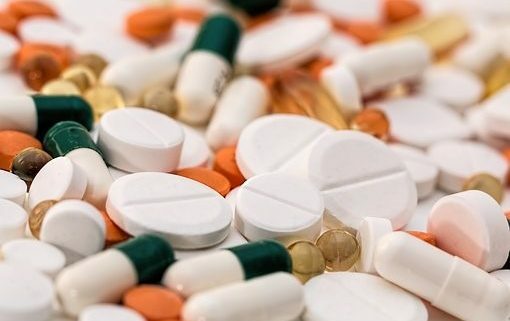 The Massachusetts Supreme Judicial Court held that Pharmaceutical Companies such as Merck could be held liable for injuries resulting from generic labels even when another company manufactures the generic version of the drug. Known as innovator liability, this precedent could hold big pharmaceutical companies accountable for intentional, reckless conduct where they control the content of a generic drug label and fail to update labeling. Plaintiffs must show that the brand-name drug maker was reckless, not merely negligent in their conduct. According to the United States Supreme Court in PLIVA, Inc. v. Mensing, federal law requires generic drug companies to use the same label as the brand-name version precluding generic drug companies from lawsuits for failing to provide adequate label warnings. 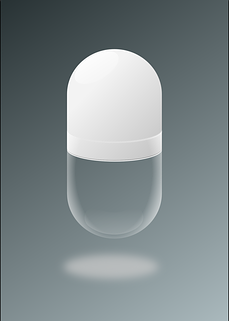 This would leave a plaintiff unable to receive compensation for injuries sustained by a generic drug. Rafferty had initially sued Merck for negligence for failure to warn after taking finasteride for an enlarged prostate. Finasteride is the generic version of Proscar, manufactured by Merck. Not long after taking the drug, Rafferty experienced side effects including erectile dysfunction and decreased libido. Despite stopping the medication, Rafferty continued suffering the side effects. While finasteride’s label warned of potential side effects including sexual dysfunction, it failed to warn that the side effects would continue after stopping the use of the drug. Finasteride’s label was identical to the label for Proscar as required by federal law. Rafferty alleges that despite knowing about the continued side effects and even changing the label in other countries, Merck did not update the label in the United States. Rafferty alleges that Merck had a duty to warn him of any adverse reactions since they control the label as the brand-name manufacturer. While the court dismissed the negligence claim, they did recognize the need to protect consumers stating, “to shield brand-name manufacturers entirely from liability for the failure to warn generic drug consumers, (we) would leave those consumers with no chance of obtaining compensation for their injuries because generic manufacturers are already immune from State law claims.” The court found that there is a duty not to intentionally or recklessly cause harm to others. Find out more from Amicus Media Group and Amicus Capital Group. We are dedicated to bringing you up-to-date information about ongoing mass tort and products liability litigation. Our dedicated team can help you obtain litigation funding and develop a comprehensive marketing campaign. Contact us today for more information. Late last month Attorney General Jeff Sessions announced that the Department of Justice would be joining the efforts to combat the deadly opioid crisis gripping America. The Justice Department, under the guidance of Sessions, has designated a task force to track opioid producers who have been flooding the markets. The Department of Justice Prescription Interdiction and Litigation (PIL) Task Force would use civil and criminal penalties to go after opioid manufacturers that violate the law. Sessions appointed federal prosecutor Mary Daly to oversee opioid enforcement. Sessions also stated that the Justice Department would be filing a “statement of interest” in an Ohio lawsuit currently filed against opioid makers. According to a recent article in the New York Times, the lawsuit goes after manufacturers and distributors of opioids who have used “false, deceptive and unfair marketing of opioid drugs.” The statement of interest does not make the Justice Department a party to the lawsuit, but it could hold some persuasive power. 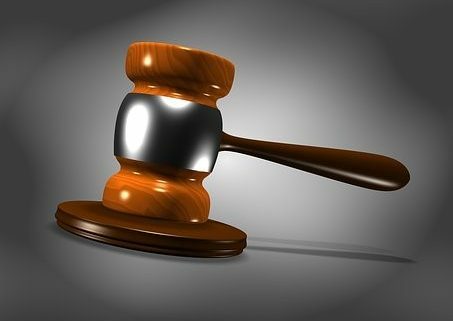 The Justice Department has joined a lawsuit out of the Federal District Court in Cleveland. Sessions has joined attorneys general from seven states to combat the national epidemic which is believed to have cost more than $4 billion from the federal Medicare program. Over 400 complaints were consolidated out of the Ohio courthouse. US District Court Judge Dan Polster is overseeing the MDL. Many believe it could result in a substantial settlement not seen since the tobacco company payouts in 1998. The settlement included a $206 billion payout over the first 25 years of the agreement by the four largest tobacco companies: Phillip Morris Inc., R. J. Reynolds, Brown & Williamson, and Lorillard. The opioid crisis is nothing new in America, what is new is the number of people who have access to the drugs such as oxycodone and fentanyl. More alarming is the ease at which doctors were prescribing the potentially life-threatening drugs. Plaintiffs argue that manufacturers misled consumers and doctors about the risk of abuse, addiction, the risk of overdose and death. It is believed that opioid overdoses were responsible for the deaths of 64,000 people. Aggressive marketing by Purdue Pharma and other drug manufacturers leads to a massive jump in the number of doctors prescribing opioid painkillers and a huge increase in the number of people who die from an opioid overdose. According to the Attorney General, 180 Americans die every day from drug overdoses. Interested in representing those affected by the opioid epidemic? Amicus Media Group can help you acquire more cases with less risk. Contact our qualified case management specialists today to learn more about getting quality cases with a company founded on trust, transparency and with a proven track record. We bring cost-effective solutions to your marketing needs focusing on mass tort, personal injury and class action litigation. Contact us today to learn more about how to deliver your message to prospective clients across the country. Online reviews are an essential component of any digital marketing campaign. Positive client reviews create what is known as social proof. Social proof or informational social influence “is a psychological phenomenon where people assume the actions of others reflect correct behavior for a given situation.” The idea is that if something has been accepted or liked by others, then more people will be motivated to use that product, try that business or use that service. In addition to reviews, social proof can be offered by trusted industry leaders recommending a service or product, testimonials or even social media followers. A large percentage of people go to yelp before trying a new restaurant. Consumers regularly rely on google reviews before purchasing a product. It can be tempting to solicit positive reviews by whatever means necessary. The problem is that it could get you in big trouble. 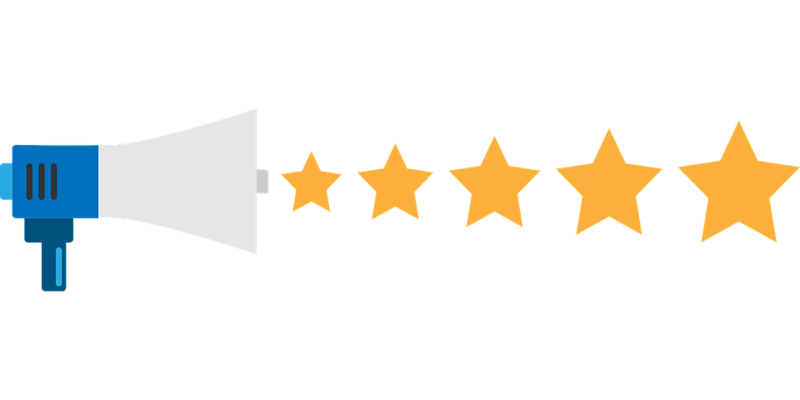 As we mentioned, client reviews offer social proof that your business is well-liked and that you are good at what you do. As attorneys, word-of-mouth has been an essential component to getting new clients. You do good work for your client; they tell others, you get new clients. Enter the digital world and an ultra-competitive market. Word-of-mouth referrals are no longer enough to keep most firms afloat. You must have a robust online presence and a comprehensive digital marketing campaign to compete. Even if you are getting old school word-of-mouth referrals, those prospective clients are still going online. The original personal recommendation may have gotten them to your website, but the social proof will be what makes them give you a call. When asking clients to leave reviews, or even when you don’t ask, you run the risk of receiving a negative review. It could be a legitimate client who feels that you performed less-than-adequate work for them. It could be a competitor (which brings a whole other set of ethical concerns). It could even be a disgruntled ex-employee or girlfriend or anybody with a keyboard. The internet offers anonymity and while review sites such as Yelp, AVVO and Google are working hard to stop fake reviews, they still exist. If you do receive a negative review, you need to take steps to address it. Responding immediately out of frustration or anger is never a good idea, but you do want to take time to issue a rational response. If you feel that an actual client did not leave the review, you can petition the site to have it removed. Attorneys have to be very careful when dealing with online reviews. 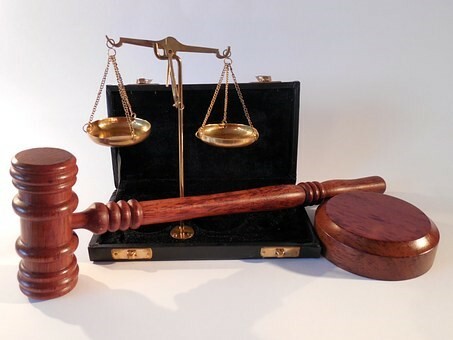 There are definite ethical considerations in soliciting client reviews that can not only get your highly sought after positive reviews removed from a review website but can also get you in hot water with the state bar association. Most Rules on Professional Conduct prohibit offering any money in exchange for reviews or endorsements unless it is marked as a “paid” endorsement. Some ban it altogether. Review sites have started to take action as well. Google recently removed nearly 100 positive reviews solicited from an attorney who offered free zoo tickets as an incentive. That being said – we in no way want to discourage you from getting online reviews. They are an essential part of your online footprint. They can serve a crucial role in getting new clients and are a great way to establish your firm as an industry leader. We only caution against an all-or-nothing strategy. Do good work, have a reliable system for closing out case files and asking for reviews. The rest is easy. Well, not easy, but worth the effort. Learn more about the importance of social proof from Amicus Media Group. We are a full-service legal marketing firm. Our network of media relationships is unparalleled. We will work directly with you to develop a customized ad campaign to get you more cases at less risk. Contact us today for a free consultation. The third Risperdal case to go to trial has been remanded to the trial court to consider whether there should be a new trial. At question is whether to apply punitive damages to the verdict. The case, Murray v. Janssen Pharmaceuticals originally rendered a $1.75 million verdict. The amount was later reduced to $680,000 by the trial court after Janssen moved for a modification of the verdict. The modification of the damages was granted when the trial court applied Maryland’s cap on noneconomic damages. The Pennsylvania Superior Court upheld the trial court’s reduction of the verdict but sent the case back to the trial court to consider punitive damages. In a previous case, the court had decided that Risperdal plaintiffs should be able to seek and recover punitive damages. 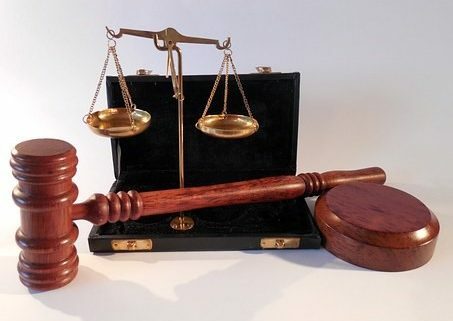 The trial court must now decide whether to apply the substantive law or New Jersey or Maryland. New Jersey law strictly prohibits recovery of punitive damages in products liability cases. Maryland law, however, allows for a plaintiff to recover punitive damages or those damages designed to punish the defendant’s conduct. In 1994, the US Food and Drug Administration approved the use of Risperdal to treat schizophrenia in adults. In June 2006, a study linked use of the drug with an increased likelihood of male breast growth, a condition known as gynecomastia. Despite this study, the FDA approved the drug for treatment of schizophrenia in boys between the ages of 13 and 17 years old. 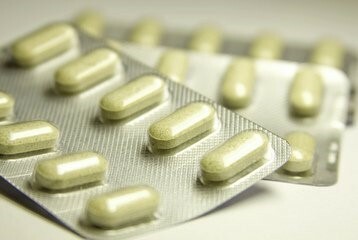 The drug was also approved to treat bipolar disorder in children between the ages of 10 and 17. By September of 2012, over 400 lawsuits are filed against manufacturers of Risperdal. At least 130 of these cases involve plaintiffs who have suffered from gynecomastia. Today there are over 5500 Risperdal lawsuits pending in the Philadelphia County Court of Common Pleas. In the matter of Pledger v. Janssen Pharmaceuticals the jury awarded the plaintiff $2.5 million after testimony that 21-year-old Austin Pledger had developed 46DD breasts as a result of taking Risperdal at the age of 12. The jury found that Janssen Pharmaceuticals was negligent and failed to provide adequate warnings to Pledger’s physician about the risk of gynecomastia. In the matter of Yount v. Janssen Pharmaceuticals, the jury awarded a $76.6 million judgment. The jury found that Johnson and Johnson subsidiary Janssen did “intentionally falsify, destroy or conceal records containing material evidence in the case.” Other plaintiffs have received jury awards from $500,000 to $1 million. Johnson and Johnson have agreed to confidential settlements in some other cases. Risperdal litigation is still ongoing. Thousands of people have been affected by this drug and others. Amicus Media Group is dedicated to bringing you the latest information on Risperdal lawsuits, mass torts, class action lawsuits and products liability litigation. We provide comprehensive legal marketing services for attorneys practicing in these fields. Contact us today for more information.